Ryan Jones, Volunteer and Education Coordinator, Park Stewardship Program at the Parks Conservancy, decided he wanted to become a natural resource ranger as a high school student. In 1995, Ryan participated in a field trip to the Presidio nursery with Galileo High School's Outdoor Adventure Program. Inspired by his visit, Ryan joined the Presidio Park Stewards as a volunteer. 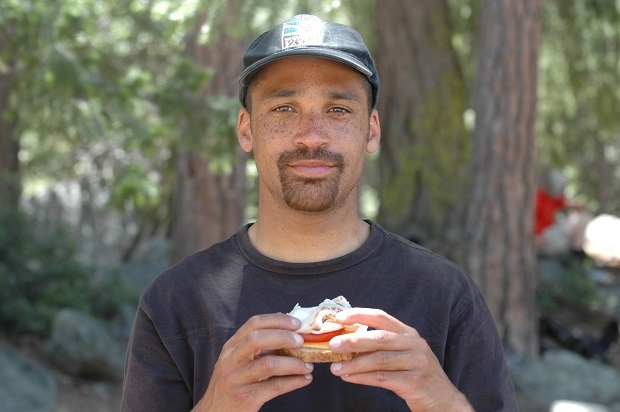 In the summers of 1994 and 1995, Ryan served as a naturalist for the San Francisco Girls and Boys Club in Camp Mendocino. He returned to the park in the summer of 1996 as a high school intern with the Presidio Park Stewards, followed by a yearlong internship with the park in 1997. Ryan participated in the Pacific Crest Outward Bound School for three summers, where he moved from participant to instructor. In 1998, Ryan was hired by the park as a Biological Technician in the Presidio. In 2002, Ryan joined the Park Stewardship Program, where he developed service-learning programs on restoration topics for youth and ran all the education programs. Ryan is also an accomplished artist who taught "Art in the Field" classes. His illustrations have appeared in numerous Bay Area conservation publications. Just prior to his passing, Ryan graduated from San Francisco State University in the Department of Recreation, Parks and Tourism. He was the “Distinguished Undergraduate Honors Recipient” for the SFSU College of Health and Human Service; and he received their first Department Internship Scholarship in the amount of $500. This fund supports programs central to Ryan’s time in the parks—both as a young person himself and as a dynamic youth leader.